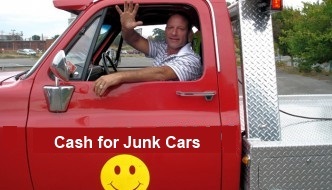 CASH FOR JUNK CARS is locally owned and operated by proprietor Roger Paltiel. Since 1988, Roger has owned a number of businesses in the Victoria area. Expertise, knowledge, experience and our reputation set us apart from our competitors. We are familiar with all vehicle types and the multitudes of problems that can arise when towing a junk car. We operate in good conscience, whether it may be dealing with our customers or ensuring that your vehicle is dealt with in an environmentally appropriate manner. We believe in supporting our local communities and take the time to give back. We donate free vehicles to local high school auto shops for students to work on and develop their skills. We also donate cars for charity events such as Mothers Against Drunk Driving fund raising. As well, we participate in local parades: Victoria Day , The Pride , and Buccaneer day. If you have a question about any of our services – call us at 250-888-5050. We are open seven days a week, including holidays 7am-10pm.